Norske Shell’s teams for Draugen operation and for exploration and production on the Norwegian continental shelf (NCS) were both due to move to Kristiansund during a single weekend in August 1992. 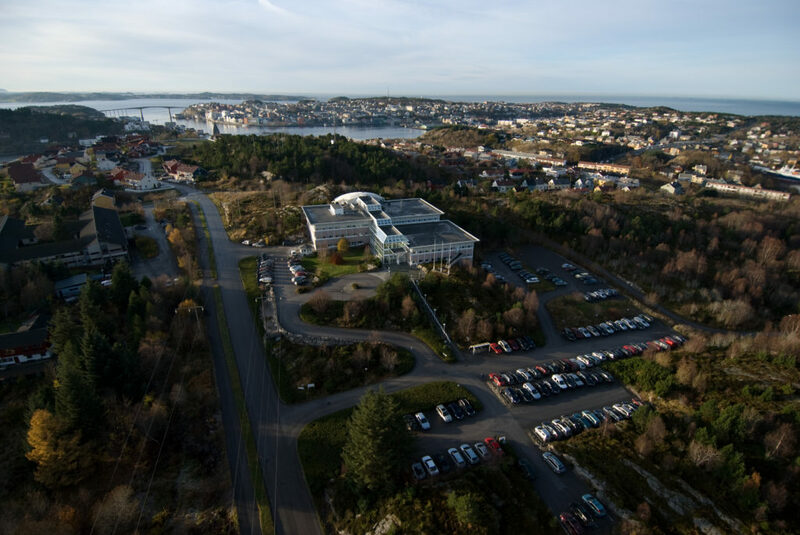 This shift from Tananger outside Stavanger ranked as one of the biggest in Norwegian history, covering 200 employees and their families as well as all office equipment, filing cabinets and documents. The new office building waiting to accommodate the two departments stood at Råket in Kristiansund had been inaugurated two months earlier. See the separate article on Råket. Previously located at Norske Shell’s head office in Risavika, the operations department shut down on Friday 7 August and was to reopen in the new site at the start of work on Monday. Some had jumped the gun, with both the documentation centre and part of the training organisation arriving in Kristiansund a week earlier. But the lorries began their long journey north at 16.00 on 7 August, carrying documents, shelves, desks, chairs, books, files and office equipment. In addition came all private possessions. A total of eight articulated lorries and more than 50 removal vans were involved in the operation. Two-member teams drove the vehicles for 18 hours at a stretch to meet the deadline. 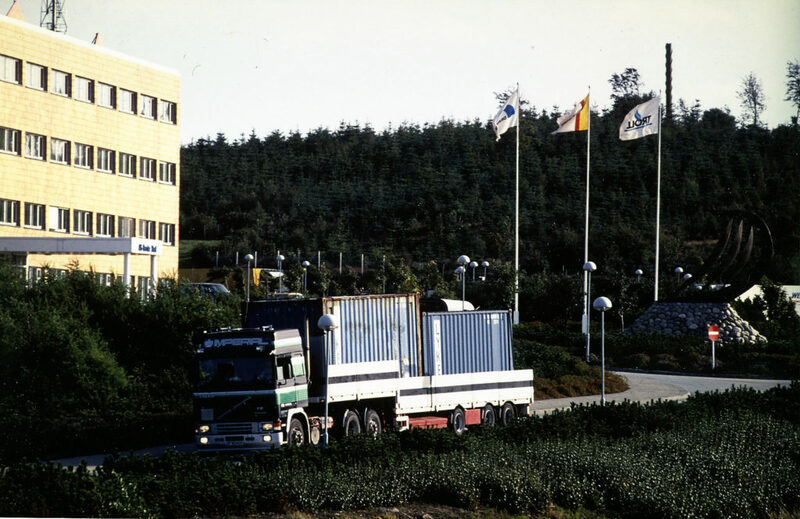 The move took nobody by surprise, since the Storting (parliament) had determined in 1989 that Kristiansund would host the operations and base functions for Draugen. Shell’s personnel were therefore fully aware of what was going to happen. See the article on location. The move had been planned in detailed and employees were well prepared. The operations organisation in Kristiansund was to comprise 155 permanent employees plus 28 expatriate personnel, who would work there for two-four years, and 46 contract workers. People from the Stavanger region were not the only ones to relocate. No less than 84 of the 155 permanent workforce came from mid-Norway – mostly from the Nordmøre region. This was fully in line with Shell’s goal that at least half the personnel at Råket should hail from Nordmøre. After many years in southern Norway, they could now wend their way home. 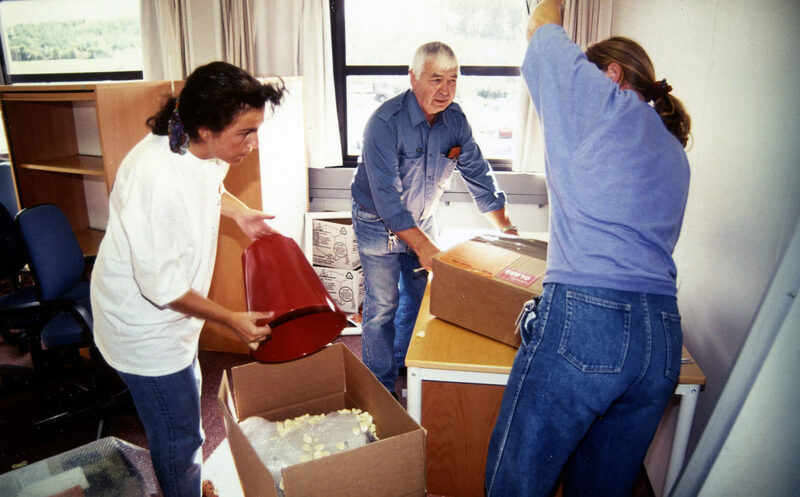 Of the 200 employees affected by the move, 80 were accompanied by their families. The population of Kristiansund grew by 400 – a significant increase for the town and the neighbouring community of Frei, which had 22 000 residents between them. See the separate article. No accidents were reported during the operation – not even as much as a squashed thumb.